I hate that as a sentence, because of course they’re not supposed to be stressful, and lots of vacation advice is to let all the things that go wrong go and just somehow refuse to be stressed. Which is very difficult advice to follow, because it’s hard not to be stressed about some parts of vacation. You’re in a strange place, at the mercy of airlines and train schedules, surrounded by strangers, often accompanied by young children who are also out of their element. It would take a saint not to let something—whether it’s the whining, or the broken rental car air-conditioning, or the cancelled flight—get to you. So here instead is the best vacation advice I’ve ever been given,* and at first it will sound a little silly: take turns being grumpy. You have a choice. Defend yourself—you did help! Join in—you haven’t slept well in days, things are clearly worse for you! You can make this a big grumpy party. Or walk away. Or silently join the search, or go get a new toothbrush. Let her have her grumpy turn. The latter is much nicer for everyone. Got kids who also have a choice? Help them see that just because one member of the family is having a tough time, not everyone has to join in—and that one person can get back to feeling better a lot sooner if nobody makes things worse. Or maybe divide and conquer—happy people go one way, grumpy another, and reconvene when the storm has passed. Everybody has their tough moments, especially when traveling. “Take turns being grumpy” is a funny way to remember that some parts of vacation don’t have to be shared. *Claudia Luiz, who is a psychoanalyst and the author of The Making of a Psychoanalyst, taught me this one. Want to share? Click HERE to pop up a fun, editable tweet or HERE for a Facebook share. Hey—you’ll find even more actionable ideas like this in my book, How to Be a Happier Parent—not just on happier vacations, but on happier screentime, meals, chores and more—and MORNINGS. In fact, pre-order How to Be a Happier Parent now, and get a one-page guide to Happier Mornings and a kid-friendly 10 Snuggly Reasons to Get Lots of Sleep printable. 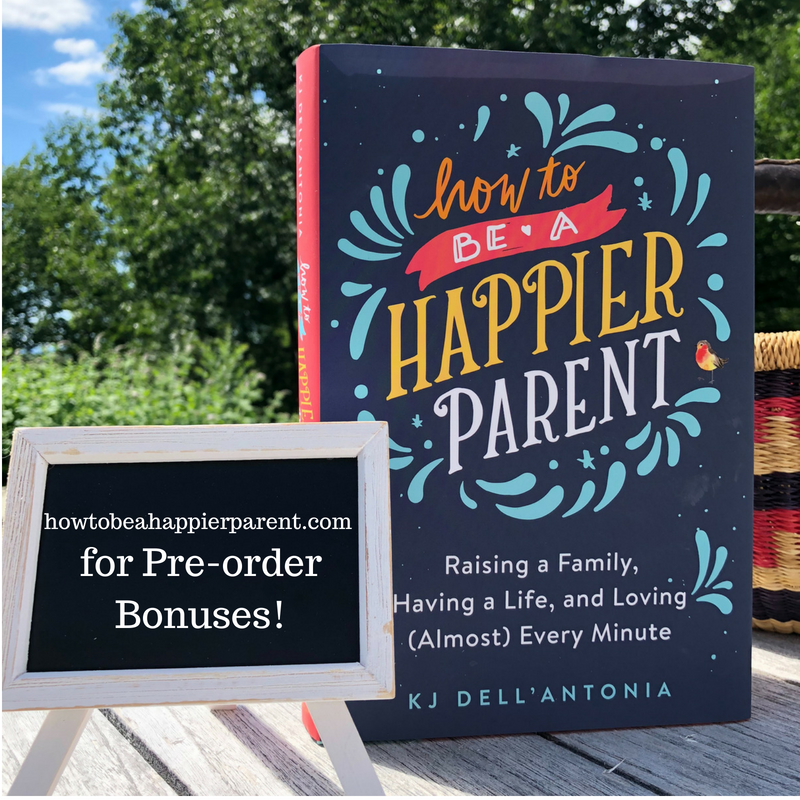 You’ll get other bonuses too, including a free photo album from Chatbooks, and I’ll join you for a virtual book discussion group if you pre-order 6 copies or more!